This afternoon we will finally be putting up our Christmas tree and replacing my beautiful pink hydrangeas that I have around the house at the moment with Christmas bling. Hmmm maybe I should mix them together. I have a exhausting afternoon ahead, you see, I have hundreds and hundreds of decorations that I have collected over the years and it is such a big job to bring them down from the attic in our roof and unpack each one and we also have a pretty big tree. My 15 year old daughter actually said to me this week, do you really think we should put the tree up this year Mum, it always takes so long and where are we going to put it?....can't we just get a little tree? 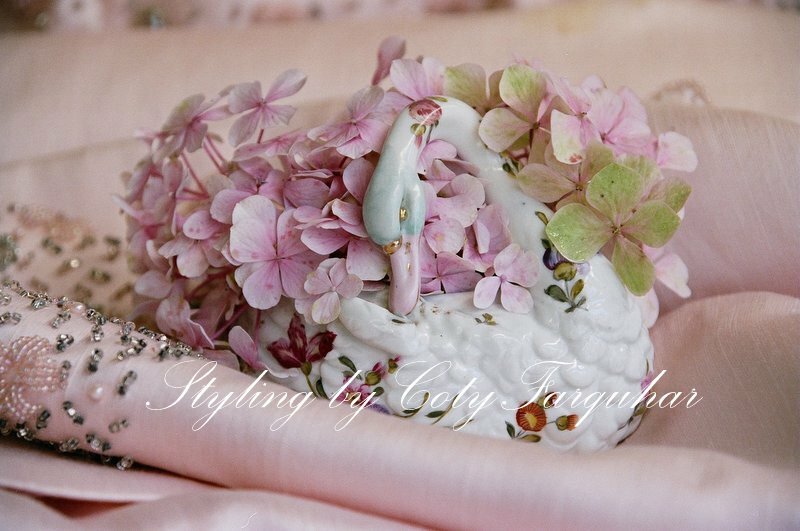 Coty, you know these pink hydrangeas speak softly to me. They are beautiful. I am looking forward to seeing your home decorated for Christmas. And, if Santa is going to deliver larger rooms, I will need to rush and write him a letter. I better bake him some very special cookies. I have no doubt Santa will bring you all your heart desires in the additional rooms dept. 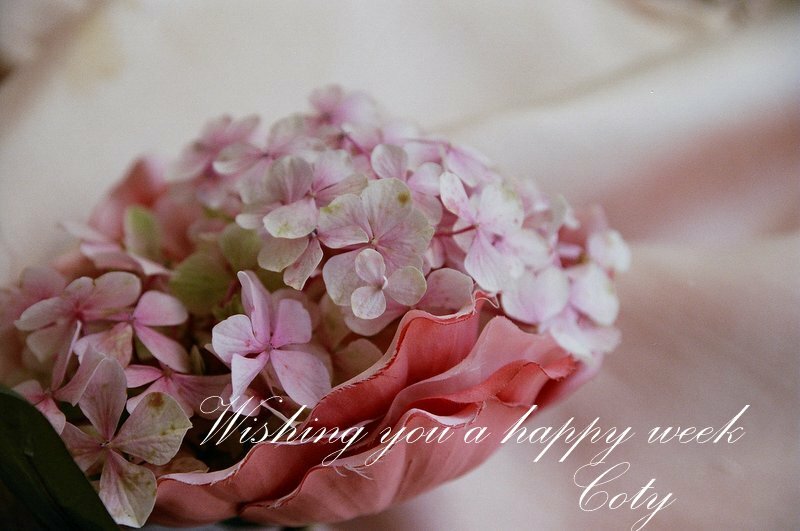 dear Coty! Your pink hydrangeas are glorious - I've 2 small specimens sitting on the window sill over the kitchen sink. It's all my puny little shrub has yielded up this year, so I'm ever so jealous of yours! Happy Chrissie Tree decorating.